I nearly melted in this gorgeous Victorian tropical glasshouse. 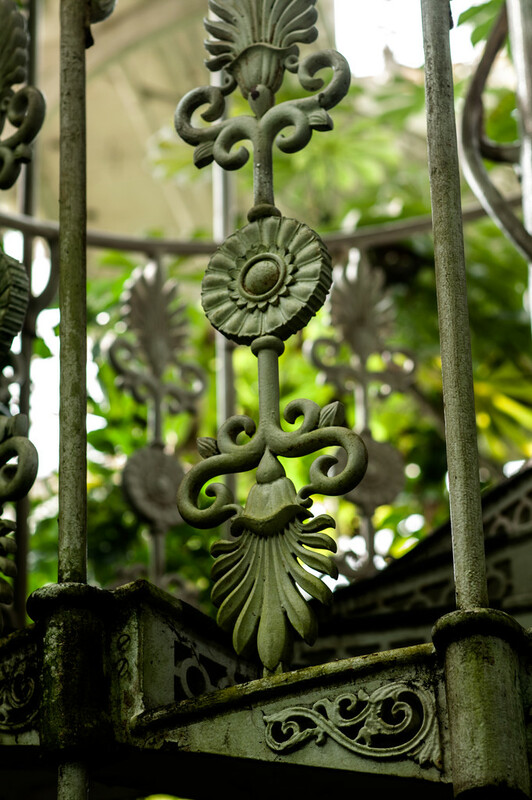 Such beautiful wrought iron workmanship. So beautifully ornate. Nicely composed!